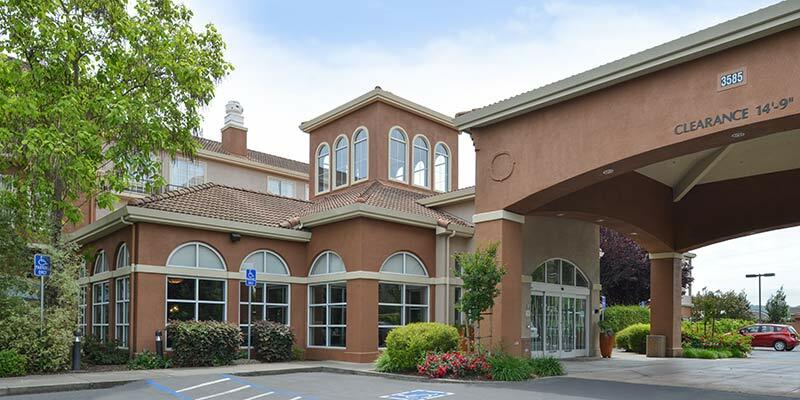 The Hilton Garden Inn Napa offers 80 spacious and finely appointed guest rooms. All rooms include either one king bed or two double beds topped with a European style duvet. Deluxe rooms include a king bed, whirlpool bath, flat panel television and upgraded furnishings.